Starting a cleaning business is easy and fun. Not only do you get to keep the environment clean, it also provides an opportunity to make money. In fact, there are many cleaning businesses operating in Nigeria today, and people in exactly the same position as you are now created many of these businesses from nothing! Moreover, owning a cleaning service business has its many rewards. The start-up costs are low, demand for janitorial services is increasing, and profit margins can be high, depending on your marketing strategy. In as much as you don’t mind the idea of getting your hands dirty or keeping the floor clean for the majority of the buildings, you will be working in, then having a cleaning business may just be right for you. If you definitely don’t one to get your hands dirty, you can consider other lucrative businesses like Laundry and dry cleaning business, bread bakery business, cooking gas distribution business, barbing salon business, and farming business. You can also consider starting a computer business center in your locality. One of the reasons why cleaning companies are springing up all over the place is that homeowners and companies are willing to pay good money to have their places cleaned. Therein lies your opportunity. You will be solving other people’s problems and make some money in the process. The goal of this post is to help you learn the aspects of starting and running a cleaning or janitorial business. We want you to start on the right footing, and grow in the proper way, and most of all become profitable. You can conduct a market survey to confirm if the timing is right to start a cleaning service in your local community. Make some calls, visit some malls, and ask friends and families. Domestic: Your core service involves cleaning people’s residence. Your customers are mainly homeowners who are busy with work or prefer to spend that time doing more fun things. Fortunately, cleaning is fun to you. You will be able to specialize in maid services including carpet cleaning, window cleaning, gutter cleaning, basement and garage cleaning, post construction cleaning, bathroom and toilet cleaning, and kitchen cleaning. Commercial: Basically involves janitorial services for companies and big blocks of industry buildings. In order to clean commercial properties and offices, you’ll need a team of people and your role will be more managerial than on the ground cleaning. Specialized: You need specialized training to render this form of cleaning services. This may be as a result of the delicate nature of materials or places to be cleaned or the associated occupational hazards that can occur without an adequate capacity building. You have to decide which market to target. If you can market to all markets, you stand a better chance of getting more clients and keeping busy than if you only went for one market. The choice is up to you. Restaurants. Including fast food, fine dining restaurants etc. Retail stores e.g. Supermarkets, boutiques, electronic shops, car showrooms etc. Shopping malls, government office buildings etc. The cleaning or janitorial business is on the top 10 list of businesses you can run from your home. For most cleaning businesses, there’s no need to rent/buy premises. Clients have no need to come to your office, and all arrangements with them can be made over the phone or at their home/office. Nonetheless, having a commercial address will help you create a professional image, but before you begin shopping for an office, think carefully about the most important needs for this business. In Nigeria, you should register your business with the Corporate Affairs Commission. While many home-based cleaning businesses don’t register their businesses, it might be difficult for such businesses to get patronage from corporate clients such as hotels, boarding schools, hospitals, government-owned facilities, etc. People trust registered businesses. Click here to learn how to register your business in Nigeria without stress. You’ll need money to buy equipment, products, and to pay your employees. Plus, you need money to hold you over till you start getting paid for your services. Now the area you focus on for your cleaning business is what will determine the equipment you will need. Industrial vacuum cleaner: This has to be a heavy-duty vacuum cleaner that can cover a large area quickly. It must have enough suction to pick up debris and dust easily. A good vacuum cleaner can cost you anywhere from N25,000 to N150,000. The motor has to be at least 1,000 watts. Plus, it needs to come with all the accessories to do a complete and thorough job. Click here to get quality vacuum cleaners at the best prices in Nigeria. Buffer or floor machine: In many office buildings and other commercial buildings like banks, you will have tile floor all around. You need this machine to clean and polish. Starting out, you don’t have to purchase this equipment unless you have a need for it. There are rental services to get it from. As the need consistently rises, you can purchase one or more. Basic Cleaning tools (Mop Buckets, Mop sticks, wipers, brooms). 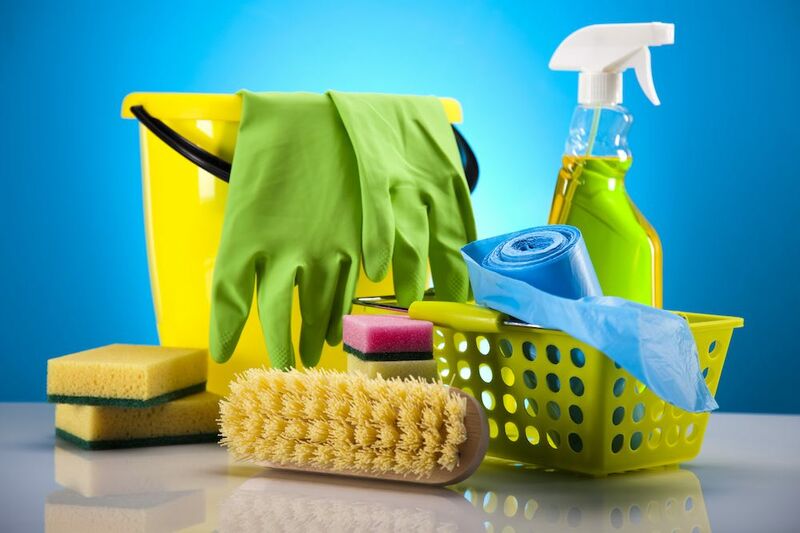 Cleaning Supplies such as detergents, cleaning reagents (chemicals), overhead dusting tools, toilet bowl brush, furniture polish for wood, cleaning cloths, disinfectant, etc. A van: when the time is right, get a branded van for your business. For the mean time, use your personal or a rented vehicle. Charges should be competitive. Simply charge what you are worth. Typical Fees/Prices: N250 – N1, 000/sqm depending on the type of service rendered. As well as some initial spend on equipment – it may be necessary to allocate some budget for marketing. Moreover, once your business gets underway and starts to gain momentum it’s important to build a brand that you can be proud of. Before you begin marketing, prepare a professional bid proposal/pricing package. Then distribute to a list of target customers you must have initially identified. It is also important that you learn how to market your business the right way. Canvass your territory and leave a brochure and business card. Approach all the people you know (especially other company owners you do business with) and ask them for referrals. Tell your friends that you will buy them dinner if they help you land a contract at the business where they work. Visit general contractors, commercial realtors, owners of the various building trades, and janitorial supply firms. Make sure they have plenty of your business cards. Implement a consistent follow-up program for all persons previously contacted. Use postcards, phone calls, and emails. Consider the advertising power of calendars, notepads, pens, and other inexpensive items from advertising specialty companies. Ask for referrals from present customers. Once you secure a new customer, work extra hard to impress them and then ask for a letter of recommendation and referrals. The power of “Word of Mouth” advertising can never be overlooked. Consider a small, yet professional website. This will serve as a means for clients to find you and get information about your services. Remember, you aren’t just any business. You are a brand. Customer satisfaction must be top on your agenda and a vision that you must adequately communicate with your co-workers. Always follow up promptly with new customers and on all project work. Make sure they are happy with your work. Carry out a thorough pre-employment screening. If you hire a thief to clean people’s homes or child abuser to a daycare center, you could end up in court charged with hiring negligence. Organize training programs for your staff, especially when they need specialized training. Always inspect the work you do. A quality control inspection form is a valuable tool to score the cleaning performance of each worker. By scoring each task on a scale of 1-10 and then totaling and dividing by the number of items rated, you will find the overall percent. Now that you are ready to start your cleaning business, keep to heart that Rome wasn’t built in a day. You can also check out some tips for starting your cleaning business. It might take a while to land your first client, but with time, the floodgate will open. Meanwhile, you can also take a look at other good business ideas if you aren’t convinced that this business is for you.